With a spectacular setting overlooking the Pacific Ocean in Orange County, the Montage Laguna Beach combines sophisticated grandeur with undeniable luxury. From the elegant suites where the bridal party can prepare, to the sweeping ceremonial lawns and the lavish ballroom reception, every setting of this beautifully-appointed resort exudes glamour and romance. The 30-acre, 5-star Montage Laguna Beach is a dream wedding photography location. Its naturally-lit suites are ideal for candid getting ready portraits and bridal detail images, while its beautifully furnished hallways are the perfect setting for your first look session. Then step outside onto their beachfront lawns where the late afternoon sun will cast a warm glow as you exchange vows, watched on by your friends and family. Whether you have a 400+ guest list or a more intimate wedding party of just your closest family and friends, the Montage Laguna Beach boasts two different ballrooms which can be exquisitely transformed into grand reception spaces. 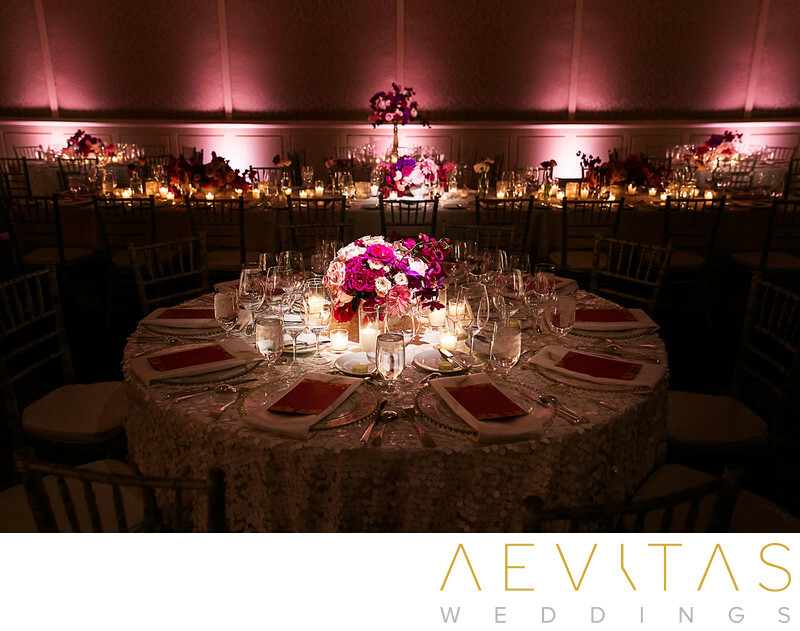 With atmospheric up lighting and ornate chandeliers, every detail of the ballrooms exude opulence. Wedding packages include all catering and beverage services, so although couples cannot utilize outside vendors, the standard is incredibly high and menus can be customized to reflect your own tastes and desires. The Montage prides itself on the use of artisanal produce and organic ingredients from small family farms, translating into mouth-watering cuisine. The staff at the Montage Laguna Beach also do an incredible job of looking after their wedding guests, and as your wedding will be the only one on the property that day, you will have their undivided attention. You can utilize the services of their wedding coordinator to make all your wedding day dreams come true and maximize the potential of their beautiful spaces. One of the few aspects of Montage Laguna Beach that may not appeal to some is that the ceremonial lawns are situated next to a walkway leading down to the beach. As this is open to other resort guests, you may have passersby stopping to watch your proceedings. On the plus side, you can also take advantage of this walkway for breathtaking sunset couple portraits after your ceremony, with the white sands and dramatic rock formations of Laguna Beach as your backdrop.